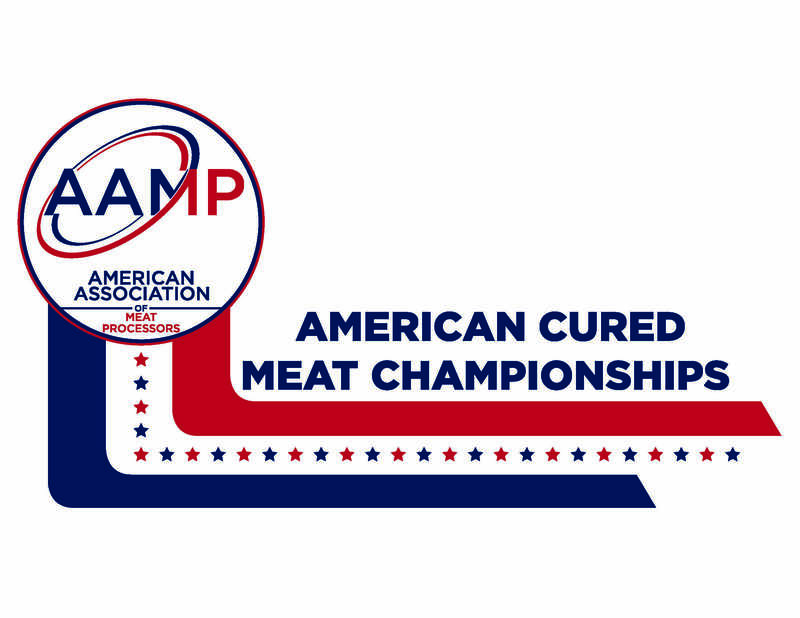 Giants strode the earth this past weekend in Kansas City as the top cured meat men in the nation gathered for the 2018 American Cured Meat Championships. 67 producers entered 687 examples of charcuterie. 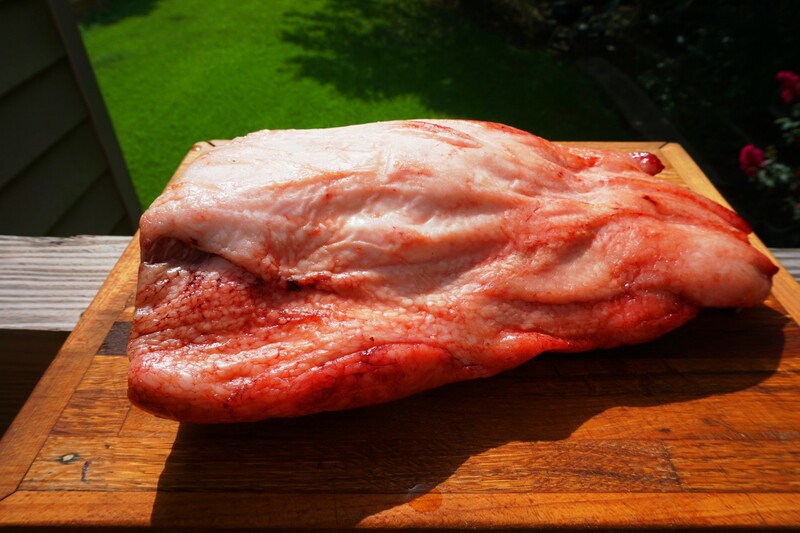 The Clarence Knebel Memorial Best of Show Award went to the shank-on boneless ham entered by the Country Meat Shop of Moberly, Missouri. That ham was also the Grand Champion in the Cured Specialty Meats category. Who was the master behind the ham? The owner of the Country Meat Shop Mark Reynolds. Jake Sailer of Sailer’s Food Market and Meat Processing in Elmwood, Wisconsin was inducted into the Meat Industry Hall of Fame as was Gary Bardine of Bardine’s Country Smokehouse out of Crabtree, Pennsylvania. Andouille: Leiding’s Meats & Catering, Danville, Ill.
Bacon, Lightweight: Country Meat Shop, Moberly, Mo. Braunschweiger: Fisher Packing, Portland, Ind. Country Bacon: Dry-Cured: Merindorf Meats, Mason, Mich. Dried Beef: AJ’s Lena Maid Meats, Lena, Ill.
Ham – Bone-in (Heavyweight): Bardine’s Country Smokehouse, Crabtree, Pa.
Ham – Bone-in (Lightweight): Thrushwood Farms Quality Meats, Galesburg, Ill.
Ham – Semi-Boneless: Louie’s Finer Meats, Cumberland, Wis.
Jerky – Whole-Muscle: Schmidts’ Meat Market, Nicollet, Minn.
Meat Snack Sticks: Wood’s Smoked Meats, Bowling Green, Mo. Old-World Dried & Fermented Sausage: Northwoods Locker, Clayton, Wis.
Ring Bologna: Jerome Country Market, Jerome, Mich.
Semi-Dried Sausage – Cooked, Non-Fermented: Dewig Meats, Haubstadt, Ind. Hot Links: Tulare Meat Locker & Sausage Co., Tulare, Calif.
Small-Diameter Smoked & Cooked Sausage: Wyttenbach Country Locker, Prairie Du Sac, Wis. Specialty Game Meats: Hermann Wurst Haus, Hermann Mo. Summer Sausage: Karl’s Country Market, Menomonee Falls, Wis. Sounds like a hell of a time. And we love that there were both lightweight and heavyweight categories for bacon.